CEO – Mindset Media Pte Ltd.
A. I have been teaching Presentation Skills and vocal power for 18 years. Voice work has been one of the key modules in my presentation program. I first became interested in voice when I was living in Brisbane, Australia. I was consulting and training and wanted to improve my own voice so I could sound more confident when I faced my clients. Since then, I have found and learned of a number of coaches in voice to improve my own as well as to learn new techniques and strategies. When I discovered Arthur Joseph and Vocal Awareness® this year, I vacillated as I questioned whether he would really add much more to what I already knew and had learned. I wrestled with the decision as to whether I should travel to Los Angeles or not, finally making up my mind to do so. 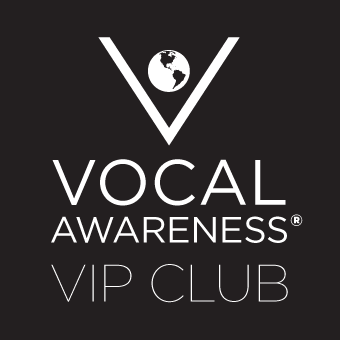 After obtaining Arthur’s book on Vocal Power and his CDs, I knew I had to join the inaugural Vocal Awareness Certification Level I program. From the very first day of class, I knew Arthur’s work dovetailed into what was missing in my own Life’s Work. A. Well, not just a moment, but moments at a stretch. Even when I’m sleeping, often thoughts buzz round in my head, and I wake up just marveling at the change in mind, body and spirit through the adoption of the Seven Rituals and other underlying principles of Vocal Awareness. My participants and private clients marvel at the depth and breadth of what I’m teaching now as I’m integrating Vocal Awareness into my presentation skills coaching. My self-confidence soars like an eagle, and the only person I’m afraid of is myself. My fear now is that I will not claim all that I can be. A. It’s the knowledge that I can help others in their search for Self and Life Mastery. That I have the keys to help them unlock their own power and Sovereignty, that they can be all that they can be when they relate to others and become masters of relationships and in communication. Vocal Awareness has helped to bolster my Self confidence, increase my Conscious Awareness and bring into focus my Life’s Mission. Through surrendering to the Work daily, and there is never a day that goes without Vocal Awareness, I am now immersed in constant, never-ending self-improvement until the day I pass to the next plane. I am so grateful for how Vocal Awareness has helped me to put the final spit ‘n polish to my life. I remind my Self not just to be an athlete, but to strive to become the Champion in my field.